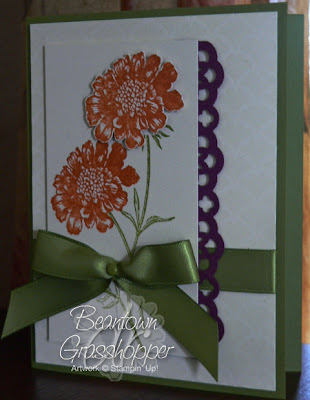 I like using the designer frames embossing folder and the oval punch. I've been punching images to put in the frame other times but today I opted to make a frame. 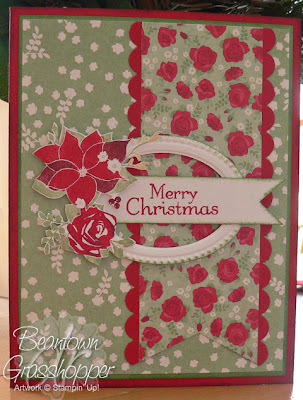 Fun card to make, although cutting the main image took some time. I came across this on another blog and liked it. What is a military wife? Each one may look different and each is wonderfully unique, but this they have in common: Lots of moving… Moving… Moving… Moving far from home… Moving two cars, three kids and one dog… all riding with HER of course.Moving sofas to basements because they won’t go in THIS house;Moving curtains that won’t fit; Moving jobs and certifications and professional development hours. Moving away from friends; Moving toward new friends; Moving her most important luggage: her trunk full of memories. Often waiting… Waiting… Waiting… Waiting for housing. Waiting for orders. Waiting for deployments. Waiting for phone calls. Waiting for reunions. Waiting for the new curtains to arrive. Waiting for him to come home, For dinner . . . .AGAIN! She is fiercely In-Dependent. 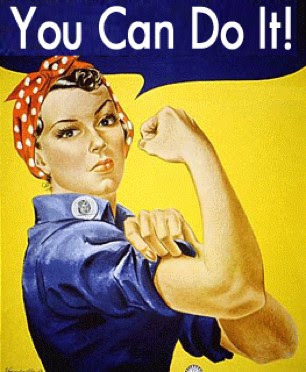 She can balance a check book; Handle the yard work; Fix a noisy toilet; Bury the family pet . 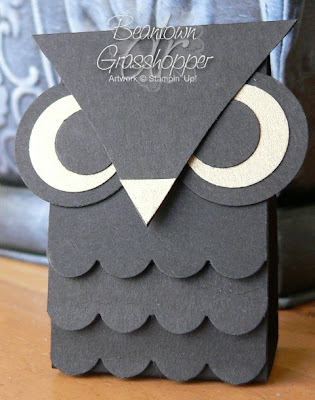 . .
You probably arrived here from We Grow By Our Dreams, your next stop is Paper Therapy Ponderings.The card I envisioned doing since I signed up for the blog hop, it turns out I don't own the set. How did that happen? I went with a ship thinking of those that we are an ocean apart from. The sentiment reads "You're never more than a thought away. "Stamps: The Open Sea, Whimsical WordsCS: Crumb Cake, Early Espresso, Not Quite Navy, VVInk: Not Quite Navy, Choc. Chip, Crumb CakeMisc. : Espresso Baker's Twine, DimensionalsI hope you have a great weekend with whatever you have planned. I was excited to hear the next town over from us is having a parade. We will be giving thanks and honor those that gave their lives and health to keep our nation safe. On behalf of my family, I want to thank all veterans this Memorial Day. The first stop of the hop is the VC Rocks blog that has a complete list of all the participants. 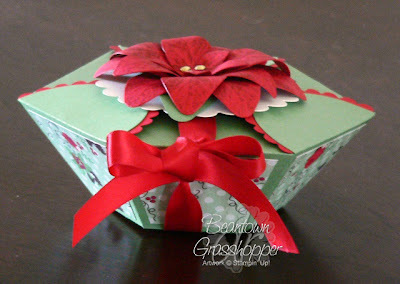 You just came from Lori's blog Paper Castles.Your next stop is Kris's blog Maddiebug Designs.The theme for the blog hop is "Color My World". I have to admit, when I signed up for this, I wanted to brayer a sunset and use the Extreme Surfboard stamp. It didn't quite work out that way. 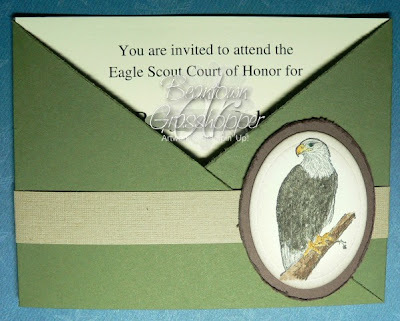 Our son is having his Eagle Court of Honor next month and I have ~75 invitations to make. I wanted to make several samples for him to pick from and this is what he likes best.I made a criss cross card, roughed up the edges a little on the diagonal cuts and the chocolate chip oval border of the eagle. I used 12x12 textured crumb cake for the band around the card.Stamps: In WildernessCS: VV, Always Artichoke, Crumb Cake, WatercolorInk: StazOn Jet BlackMisc. : Watercolor Pencils, Blender PenEnjoy hopping! 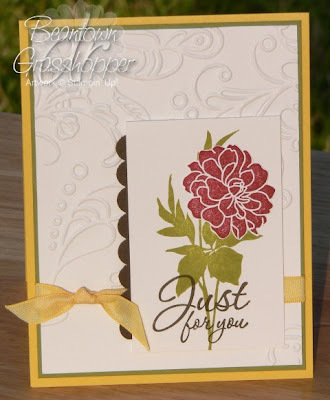 Stamping has been so limited lately. Crazy things have been happening (not to me personally) that have eaten a lot of my time lately with communications to a lot of people working through details. Our son has been working hard wrapping up some merit badges and working on his Eagle project. He has his Eagle Board of Review in a couple of weeks. I'm so excited for him. 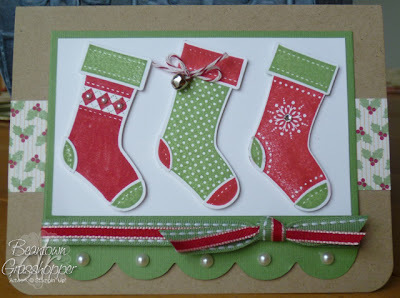 I'm thinking it was last fall that I saw this card in a Stampin' Success magazine. I thought it was such a creative way to use the words from these two sets. I got around to making several of these cards a few months ago.These next two cards I CASEd but I don't know from where. Please, if you know whose ideas these were, let me know. I want to give credit to them.